Running networking in software on an x86 is often described as fast. 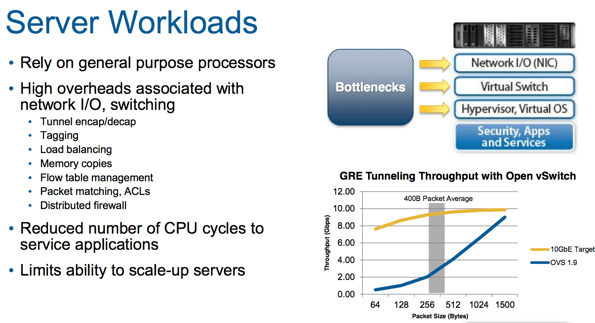 For example, Brocade’s Vyatta software routers are getting 10 Gbps per CPU Core. That’s good forwarding performance but what about applications that need to manage large numbers of flow state like an Open vSwitch or network appliance performing fire walling. An x86 can forward packets plenty fast but it performance drops when the task complexity increases. 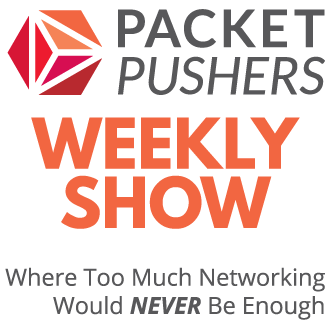 Consider what happens when an application performs deep inspection for firewalling, packet matching or some form of load balancing. Many people remain dubious that a server can perform a well as a dedicated appliance. The Netronome chipset is one of the key components in your proxy, firewall or load balancing appliance that deliver the better performance. Netronome are producing hardware solutions to software problems. 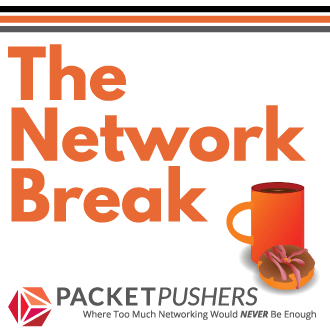 It’s good to get excited about software networking and the flexibility and features that can be achieved. But there will always be a place for hardware to address the limitations of software. In this case, metronome has network adapters for standard x86 servers that provide appliance-like levels of performance. 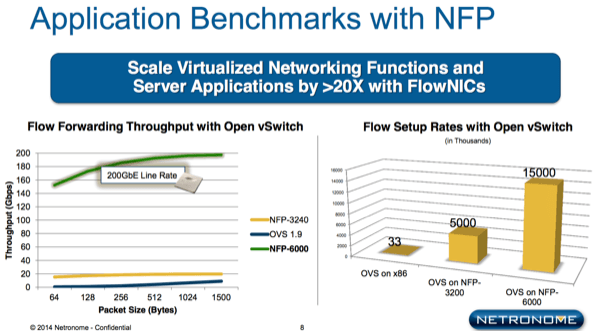 As the graph shows, 15 million flows per second for Open vSwitch is stunning performance. If you need it, know you now where to go and get it.